Warriors produced an exhilarating display of attacking rugby to run in seven tries in a record-breaking win, their first at Sixways this season. Warriors recovered superbly after leaking an early try to Bristol loosehead prop Yann Thomas and hit the visitors with a burst of four tries in 25 minutes which gave them the bonus point before half time. Two more tries in the first seven minutes of the second half ensured that there was never any threat of Bristol staging the sort of comeback that Leicester Tigers threatened two weeks ago. Director of Rugby Alan Solomons had urged his players to turn pressure into points and Warriors did just that with a ruthless attacking display. But Warriors were equally impressive in defence where, after an early lapse, they soaked up periods of Bristol pressure and did not concede a point for the last 76 minutes. To round off a memorable afternoon Warriors were roared on by a jubilant crowd of 9,172 the overwhelming majority waving gold flags which were put on every seat in the stadium. Few could have expected such a scoreline when Thomas crossed after four minutes after a break from Bristol number eight Jack Lam. With Ian Madigan adding the extras, Warriors had not touched the ball after they kicked off. But Warriors regained their composure and reduced the deficit when Chris Pennell booted over a penalty from close to halfway when Bristol tighthead prop John Afoa was penalised for coming in at the side. Warriors expected Bristol to play a possession-dominated game, instead they did it themselves by retaining possession, building the pressure and turning it into points. A superb sustained attack created enough space for G-J van Velze to squeeze over in the corner for a try which Duncan Weir expertly converted from the right-hand touchline. Warriors had a let-off when Madigan was off target with a kickable penalty which would have levelled the scores but they hit back by again laying siege to Bristol’s line. Bryce Heem and van Velze were both held up over the line but Warriors kept the pressure on and Ryan Mills spotted a gap to nip in for the second try having featured prominently earlier in the attack. Weir again added the extras and he also improved the third try when Marco Mama went over from close range against his former club after Sam Lewis had done well to hold on to a low pass from Heem. 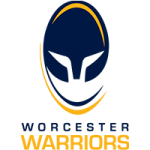 Worcester’s work at restarts in the first half was exemplary and Bristol’s frustration increased when Francois Venter intercepted a stray pass on his own 22 and he galloped away for his first try for Warriors. The South Africa international celebrated with a forward roll before Weir added the conversion to give Warriors a 28 points lead at the break. There was no let-up in the second half as Pennell crossed close to the posts after van Velze had won a line-out. The sixth try soon followed when Josh Adams snaffled a pass on Bristol’s 22 and went over unopposed with Weir maintaining his 100 per cent record with his sixth conversion. Warriors showed tremendous resolve to deny Bristol another try despite being under pressure in defence for periods of the second half. They also lost replacement prop Ryan Bower to a late red card but they scored the final try when they were down to 14 men. Heem, a threat to Bristol’s defence all afternoon, crossed on the overlap in the final minute to bring up the half-century and Weir put the seal on an outstanding performance by landing his seventh conversion – also a club record – from the touchline. Warriors’ win was both their largest margin of victory in the Premiership and their highest score in the competition, surpassing the 51-10 victory over Newcastle Falcons ten years ago.